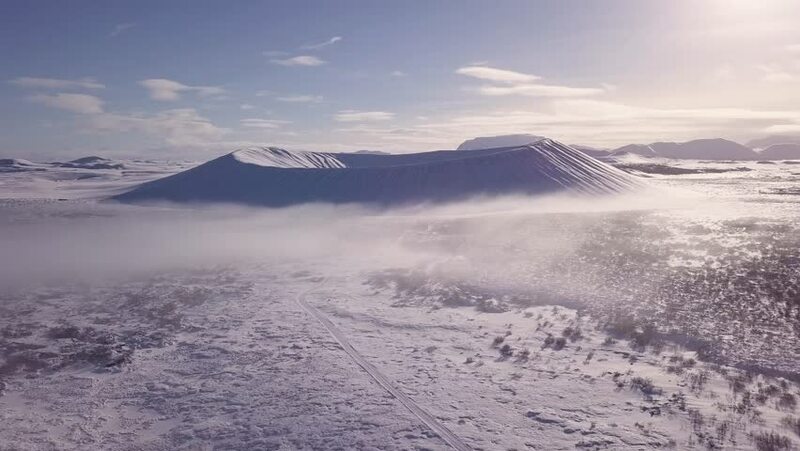 Drone footage from the volcano crater Hverfjall in Iceland during a winter morning with fog. The drone rises out of the fog. hd00:12Gentle slopes snowy mountains and glaciers. Hazy skies. Wonderful Iceland in the spring.